Skateboarding is a thrilling sport, even if you only need a hard surface, four wheels and a board. But it’s even more exciting when someone invests in a park designed just for skaters to show off their skills. Oklahoma is home to more than 30 skate parks. Some are pretty simple, with just a couple of ramps. Others are more elaborate. Come to one of these top 10 skate parks in Oklahoma. You’ll find 24 different elements to try out when you visit this park on the west bank of the Arkansas river. Beginners to experts are welcome. The park is open 5 a.m. to 11 p.m. Helmets are required, and safety gear is highly recommended. Open dusk to dawn, this park is part of Nienhuis Park. Skateboarders can try out the two hubbas, a rail, the bowl, quarter pipes and more. This park was commissioned in 2002 and offers half-an-acre for outdoor skateboarding. It’s part of Mitch Park, and open 7 a.m. to 11 p.m.. There’s access to a restroom and a water fountain at this skate park. Guymon is more famous for ranching and farming rather than being a center of entertainment, but the skate park there is designed to give skateboarders a place to practice and show off skills. It offers a grind box, small half pipe and metal ramps. Located at 38th and Lee, this skate park offers a number features including half-pipes, quarter pipes and metal rails. Check the schedule online for times of operation. Helmets are required. Although Oklahoma City offers three different skate parks, Mat Hoffman is the premier park. BMX bikes and inline skates also come out and use the facilities. The park features a street course and a bowl course for skateboarders of all levels. Safety gear is required. The park is open from dawn to 11 p.m. daily, but does close for inclement weather. This skate park is located at 715 W. Walnut St. and is open dawn to dusk daily. It’s a wooden park with quarter pipes, boxes, rails and a hubba. Open 6 a.m. to 11 p.m. daily, this skate park offers 11 different features for skateboarding. Located at 456 S. Main St. you’ll also find restroom facilities and a water fountain at this lovely park. 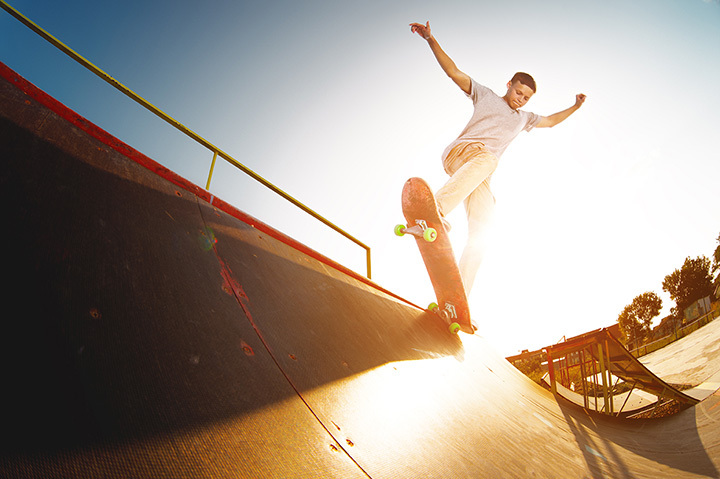 Sand Springs Skate Park offers 7,000-square feet of features for skateboarders, BMX bikers, and inline skaters such as, ramps, quarter pipes, hubba ledges and much more. Safety gear is highly recommended. The park is open dawn to dusk. This park was built by Native SkateParks LLC to focus on healthy activities in the community. Skating is free, and safety gear is recommended. It’s located in the Ben Johnson Cultural Park and is open 24 hours a day, but children under 18 have a 9 p.m. curfew. Call city hall for more information (918) 287-3040.